2013 has seen the release of a few albums that elevate Roscoe Mitchell beyond his main identity as a jazz musician and founder of the Art Ensemble of Chicago to that of someone equally fluent as an classical-avant garde composer. Earlier this year, percussionist Alex Cline released an album-length reimagining of "People in Sorrow," that took the Art Ensemble piece and turnied it into an orchestral multi-media epic. (I thought it worked well, as you can read here, though a Downbeat writer did not.) Now there are these two discs, one a reissue of 1975 performance, the other a new one of other musicians performing Mitchell's compositions. Both pose the idea that Mitchell's m.o. has always been more than that of an adventurous jazz man. "A Space" is the actual name of a performance venue in Toronto which hosted performers like Mitchell throughout the '70s. 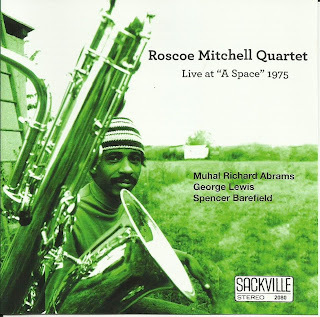 His group for this October 1975 date consisted of AACM co-founder Muhal Richard Abrams (piano), George Lewis (trombone, in his first recorded performance) and Spencer Barefield (guitar). The bonus cuts on Live at "A Space" indicate that Sackville's original release didn't contain much in the way of jazz references. This edition begins with an atonal ballad (of sorts) titled "Prelude to Naima" which leads into a one-chorus reading of John Coltrane's "Naima." Strip away that track and all signs point to something new and different. And challenging, even to devoted fans. 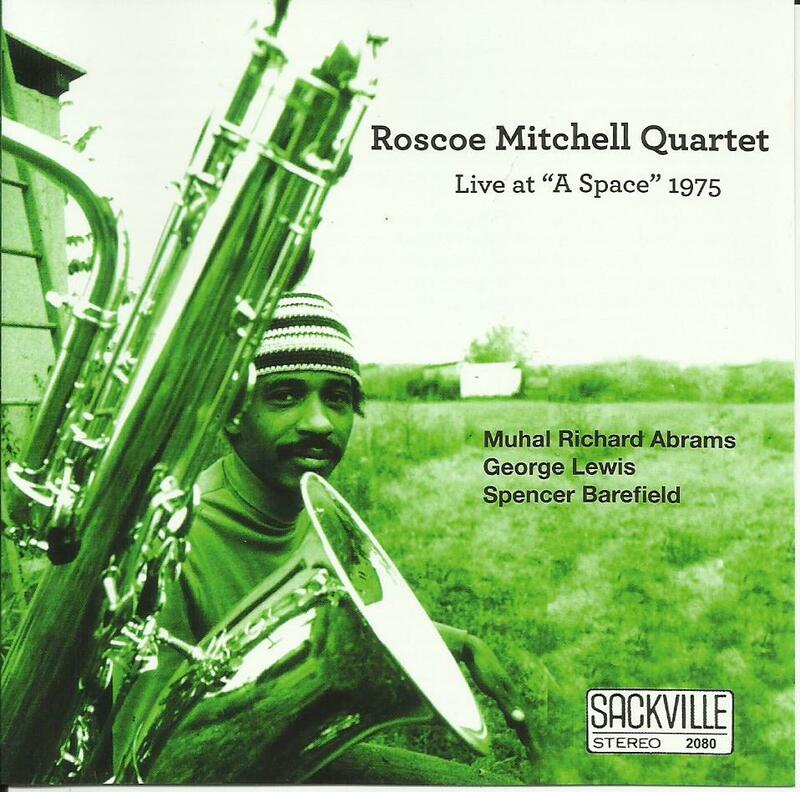 Mitchell recorded two of these pieces with the Art Ensemble (aided by Abrams) in 1973 for the Fanfare for the Warriors album. "Tnonna" is a study in tension, with low sounds (in volume and pitch) flowing along. The AEC version included heavy breathing through the horns and a thunderous climax, which made all that suspense pay off. This version has some of the air, but no final thunder, which is something of a surprise. Still elements like Barefield's tremelo fretwork gives it extra color. "Nonaah," which Mitchell wrote as a solo saxophone piece before the AEC played it, is another bonus track, ending the set with a brief blast that gives the quartet a chance to wail. Everything beyond that is rocky terrain. Lewis' 14-minute "Music for Trombone & B-Flat Soprano" sounds like spontaneous exchanges between the two horns, but they frequently finish a thought together, indicating that more is going on. "Cards" may or may not be a game piece, in which the musicians play ideas taken from a deck. But it's marked by some of Mitchell's more abrasive writing techniques, where everyone plays in short outbursts, and if anyone plays for more than a few seconds, they're holding one note. Abrams in particular seems to rumble the same low piano notes over and over, sounded like a cue for a change that doesn't really come. Better are "Olobo," a solo trombone recitation, and the final bonus, "Dastura," where Barefield has a chance to be heard clearly as he duets tenderly with Mitchell. One of the surprising things is hearing Mitchell's work played on alto saxophones with the clear tone of a classical performer, rather than the gruff, scratchy feel of his playing. This is most noticeable in "Not Yet" where Jacob Zimmerman is accompanied by pianist Dan VanHassel. Zimmerman is also one of the four altos in the James Fei Quartet (which includes Aram Shelton) who blend that tonal clarity with the appropriate squonk on their reading of "Nonaah." Although their version uses the staccato melody as an entry point, the version by the chamber orchestra (directed by Petr Kotik) begins in a more relaxed manner and seems to only reference the theme as the end. Where they go in between gets rather fascinating. Mitchell must have approved of the album's sequencing as it begins in a way that forces you to drop expectations immediately. "Bells for New Orleans" has eight minutes of William Winant played tubular and orchestral bells. Once past the idea that these tones are not just marking the time but are playing an engaging melody, it can have a hypnotic effect. "9/9/99 with Cards" could be a reference to "Cards" from the earlier album, but the Eclipse Quartet is harder to latch onto than the Mitchell Quartet, because the strings don't sound focused or cohesive. "Would You Wear My Eyes?" puts an emotional Bob Kaufman poem to a chamber orchestra accompaniment, but the words get buried in Thomas Buckner's heavy vocal vibrato, which doesn't waver throughout the whole piece. Too many creative composers seem to get their due recognition after they've died. 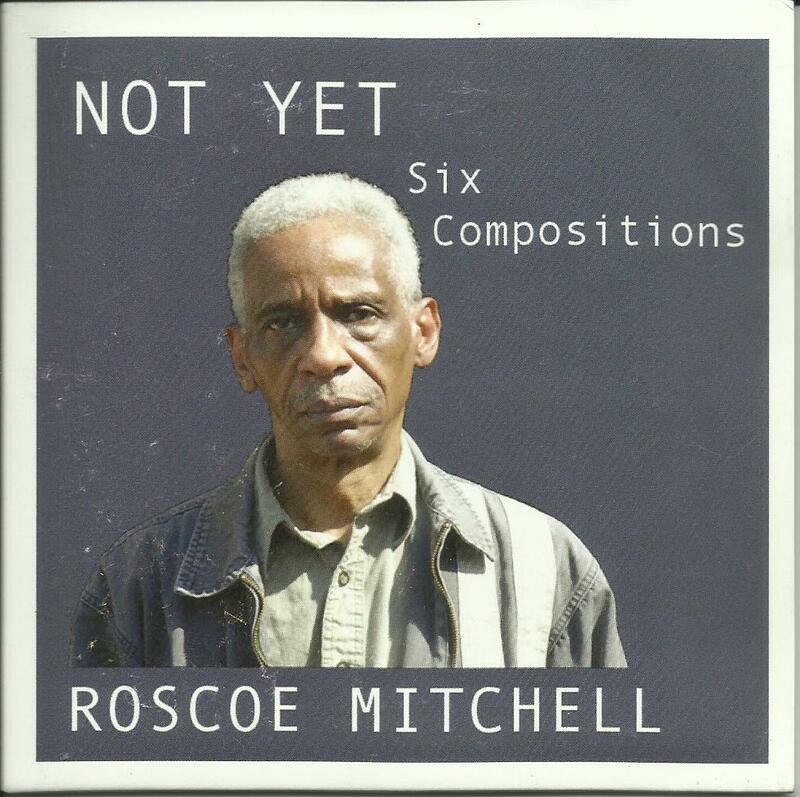 We can be grateful that Roscoe Mitchell has been able to chronicle his unique music during his lifetime. Even better, he's continuing to create to this day. It's kind of a surprise that no one else has spoofed the title of Miles Davis' most famous album and come up with "Grind of Blue." Maybe a band of metal head music majors out there used it without taking it beyond the campus. 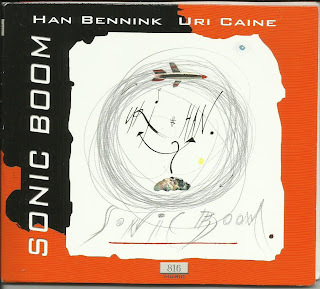 But until then, the brilliant title will be credited to pianist Uri Caine and drummer Han Bennink, for a track on this live set of improvisations, recorded at Amsterdam's the Bimhuis. 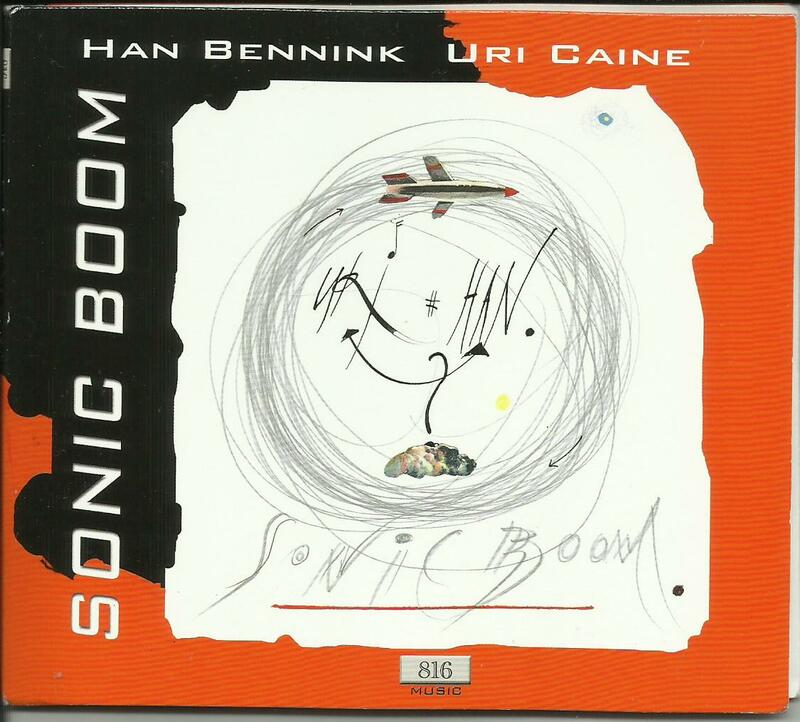 This piece actually begins with Caine sounding like he wants to play a ballad, until Bennink adds some thunder to the scene, making the dynamics rise and fall. Bennink, of course, stands as one of the most (if not the most) wide-ranging drummer in jazz and improvised music, able to go from the most chaotic free flights to the hardest 4/4 swing at the drop of a hat. He can be equally zany or sensitive. Caine also balances different musical worlds in his playing. He's combined a vast knowledge of classical music with a keen sense of improvisation, not to mention funk and fusion. Onstage they're aware of how to utilize their skills and work with each other. The title track begins like a personal introduction, Bennink taking a brief free solo, Caine following with some pointillist piano before they both cut loose. Yet the piece still has some lyrical moments. "Furious Urious" lives up to its title too, since the pianist displays some fury, but that doesn't stop him from shifting into a hard stomping, bluesy groove before its done. Without looking at the track listing, it's possible to miss the inclusion of a Thelonious Monk composition. The melody to "'Round Midnight" gets stretched and extended, with a few phrases standing out so as to perk your ears, indicating something familiar is lurking. And it retains some gentle qualities, proving these guys not only know the tune, but understand that by playing such a famous song, it's important to bring some individual stamp to it. Albums like Sonic Boom prove that free improvisation is not always an alienating, self-indulgent type of music. It can accessible and more importantly fun if the ears open up and listen well. I heard a radio ad for the I Heart Radio music festival that's coming in a couple months. The voiceover stated that the show is making history. It hasn't even happened yet. How the hell can it be making history? I've really had it with this whole notion of writing the history books before the historical event even occurs. There are many examples of that happening, but as far as music goes, the shining example of this dubious act happened in the late '90s when there were new Woodstock festivals. The promoters felt entitled to compare their shows to the original 1969 event simply because they were staging a big outdoor concert with a myriad of different performers in roughly the same area. Now all that anyone remembers from those concerts is the event in, I think it was 1999, when flocks of concertgoers set fire to overpriced vendor stands and assaulted fellow concertgoers. Everyone seemed to forget that the reason the original Woodstock is held in such high regard is that no one had done something on that scale and that no one had any idea how huge it was going to be. Those three days probably invented the phrase "logistical nightmare." But anyway, about this I Heart Radio show - the other thing that's so annoying about the show is they're crowing about ALL THE ACTS THAT ARE GOING TO BE THERE. Usually the commercial switches to a flat, emotionless woman's voice that sounds computer generated, who rattles them off in a manner that doesn't relay any excitement. [I'd rattle off some of them but a. I don't really care about accuracy right now and b. when I did try to look up the website, it made Coltrane freeze up and stop by playing.] Point is: You've got your hard rock, you're got your hip-hop, you've got your Top 40, you've got your R&B AND IT'S ALLLL GOING TO BE IN THE SAME PLACE! Wow - isn't that great?! All these people who like all this different music will get to hear it all in the same place! Maybe Aerosmith will bring Kei$ha up for a song. Maybe Gwen Stefani will do a song with Lil Wayne. But why stop there? How about Carly Rae Jepsen and the Fleet Foxes? Maybe Lady Gaga should do a set with Anthony Braxton! I mean really, she's admired by people beyond the Top 40 field, and she's uh, experimental, I bet she could make weird vocal noises for 40 minutes over a Ghost Trance piece. And if you put all this music together on one stage it means that everyone's going to like it, doesn't it? In case you're not picking up on my sarcasm, I'll put it another way. Do you know what happens when you mix all the Easter dyes together, in hopes of getting a color that's just as beautiful as all those Paas dyes that you have on the table? You get brown. A mediocre result of too many things thrown together. I was once part of a well-intentioned group of people in Pittsburgh who tried to start an organization that brought all the diverse musicians in town together, the idea that it was for a greater good. I came away realizing that this doesn't need to happen. AND IT'S OKAY. If metalheads want to hear rap, they'll explore it on their own. If jazz musicians think indie rockers have no talent and mope, don't try to force them to change their mind by forcing them listen to it. And I Heart Radio isn't making history by putting all kinds of acts together. They're not going to turn anyone on to something new and different. People will see the acts they want to see and when someone comes on that they don't know, they'll go get a beer and start scoping the crowd and texting their friends. 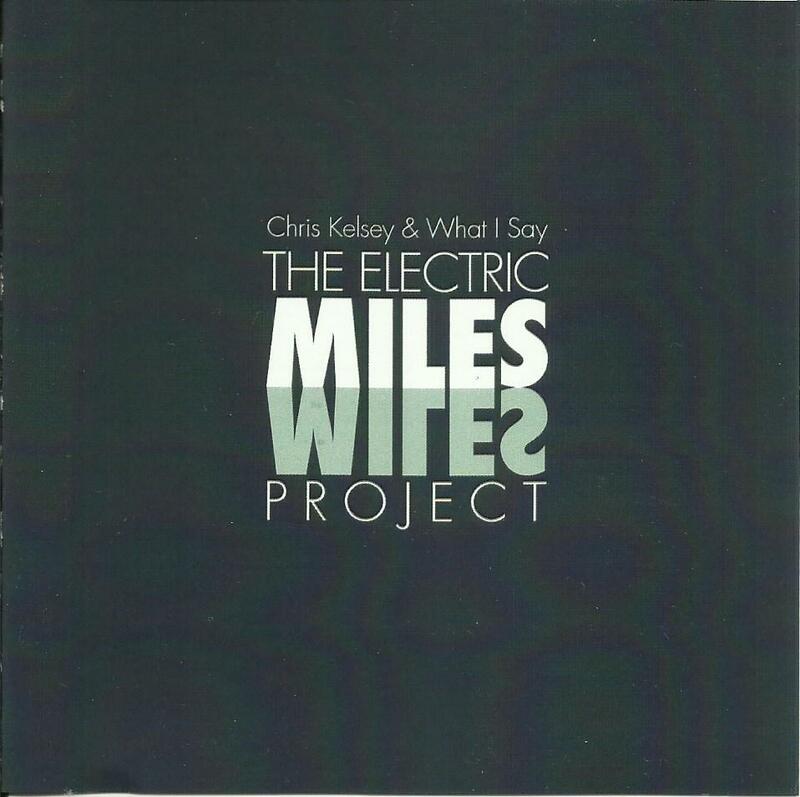 This album, and pianist Keith Jarrett in particular, have been a hot topic of discussion over the past few weeks. Matthew Shipp sounded off on this album in what was actually a pretty fair and even-handed assessment of it. That's not to say he liked it, but he was well-spoken on it. At least one person on Facebook had to comment, "Matthew Shipp is just jealous." That's about as asinine as saying... well, I have a metaphor but I don't want to start a different kind of debate here. Anyhow, if you want to know what Shipp said, it's right here. Read it because it's pretty articulate and reveals some things about himself that are surprising. Jarrett also generated some head shaking himself with his return to the Umbria Jazz Festival, from which he was banned a few years ago, after a crabby outburst. That's right here. 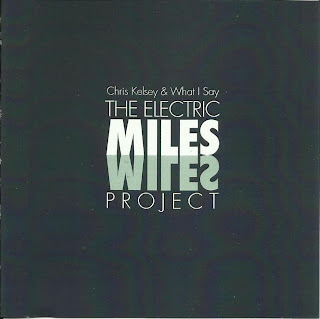 Seriously, playing nothing but standards - two from West Side Story, no less - can come off like a tired, phoned-in concept for an album but these three musicians (whose rapport goes back three decades) bring a spark to the program. Even when they space out and play two chords for more than 10 minutes, a level of energy keeps it moving. Sure, Jarrett's playing can get sort of spacey, meaning tangentially, content to just let sounds ring out. "Stars Fell on Alabama" moves along laguidly, with a lot of open space in it theme. But he's not squeezing the life out of the words like an overwrought vocalist. He's letting them breathe. Jack DeJohnette's brush work and cymbal rolls help to open it up with their accents. (For better or worse, there's Jarrett's trademark growling acting as another intrusive punctuation while really comes out in a whiny way during the solid swing of "Between the Devil and the Deep Blue Sea." And to think, he's distracted by flashbulbs or crowd noise.) Gary Peacock plays a laidback yet grooving solo in "Stars," which is fine follow-up to the brisk one he plays in Miles Davis' "Solar." After another bass solo in "Devil," Jarrett trades fours with DeJohnette, who has really been kicking him forward throughout the tune. "Somewhere" can come across as a rather sappy song, aside from the version Tom Waits recorded on Blue Valentine where his gruffness lent new depth to the hopeful message of the song. Not until Vijay Iyer recorded it a few years ago did the mush start falling away. 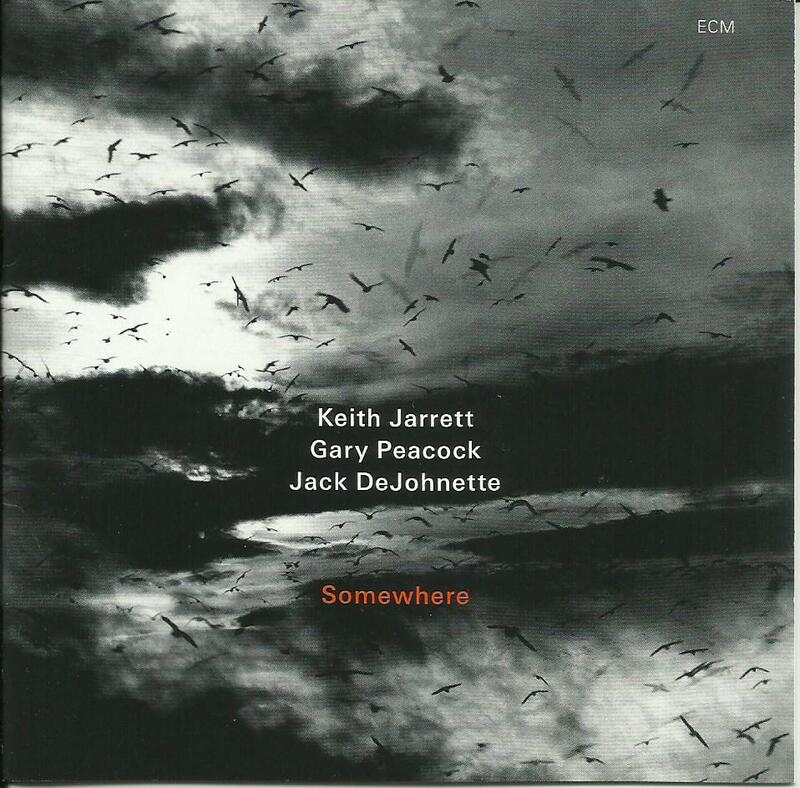 Now, Jarrett manages to keep the song's sensitivity intact while keeping the mood of the trio's arrangement on the gentle side. After playing the tune for about five minutes, Jarrett locks into a two-chord vamp - and stays there for about another 14 minutes. Titled "Anywhere," it finds the group exploring every way they can sustain the energy over such a simple structure and for at least 10 of those minutes, it works. (By that point, it's easy to get restless but you figure, you've come this far, why not keep going.) This is what's meant by a musical journey, Jarrett holding down the fort, DeJohnette adding color to it, with Peacock adding some trimming. This isn't showboating riffing, played just to get an audience's reaction to technical tricks. This is about getting lost in the moment and seeing what happens. So this writer wouldn't give the whole album five stars, but I still had a good time listening.